MS Dhoni got choked up and was almost in tears as he spoke about the return of Chennai Super Kings in the 11th edition of the Indian Premier League. In a rare display of emotion, MS Dhoni was almost in tears as he spoke on the return of Chennai Super Kings in the 11th edition of the Indian Premier League. Chennai Super Kings is arguably one the most successful teams in the IPL but faced a lot of backlashes after it was marred in spot-fixing controversy and was subsequently banned for two years. 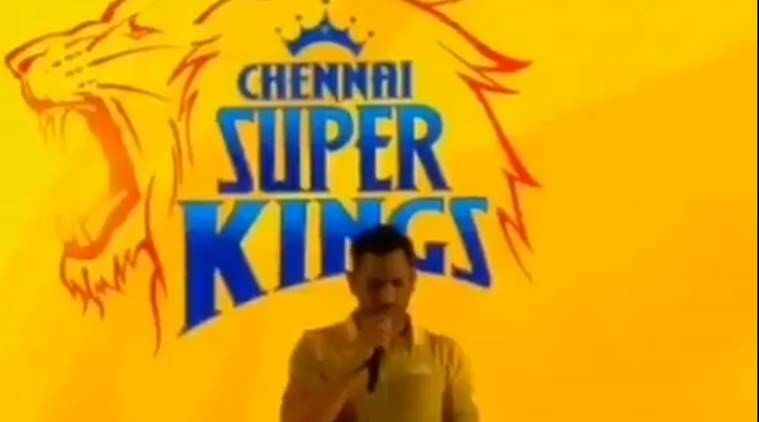 Now after almost 2 years CSK are back in action under the leadership of Dhoni and the skipper failed to control his emotions and got choked up while addressing the audience at an event in Chennai. “As I said it was, I knew I would play for the Pune team but the actual moment comes when you start walking with the team-sheet in your hand till that point of time its only practice and everything. It was a very emotional moment…since I have started playing T20 cricket represented the Indian cricket team, Jharkhand team in few tournaments and CSK for eight years, so it was an emotional moment not to see myself in yellow,” Dhoni said at the event. “But at the same time as professionals, we have to move ahead and also not to prove to anyone but to prove a point to myself that I am making sure whatever I gave in for CSK, I am not leaving any inch that I am not giving for the Pune team,” he added. Seeing him get emotional- teammate Suresh Raina quickly offered him a drink. Under Dhoni’s leadership, CSK won the title twice in 2010 and 2011 and finsihsed runners-up in four editions. Chennai Super Kings begins its campaign on April 7 at the Wankhede Stadium where they will take on the Mumbai Indians.